The GTCC Small Business Center (SBC) is part of the statewide Small Business Center Network (SBCN), a community college-funded initiative with a vision to foster and support entrepreneurship, small business, and economic development in local communities with an emphasis on assisting start-ups, early stage, and at-risk enterprises. Our goal is to increase the number of viable businesses across the state by providing high quality, accessible assistance to small business owners, leading to job creation and retention. We do this through a variety of programs. In Greensboro, the SBC is located in the Nussbaum Center for Entrepreneurship, Suite 1201, located at 1451 S. Elm Eugene Street. The SBC also has an office in the High Point Chamber of Commerce, where counseling is available. 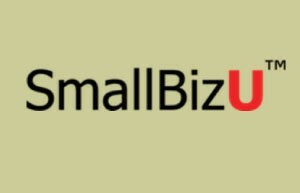 GTCC’s Small Business Center offers full-length, on-demand seminars provided by SmallBizU, the first online academy created especially for the education and training needs of small businesses and entrepreneurs. 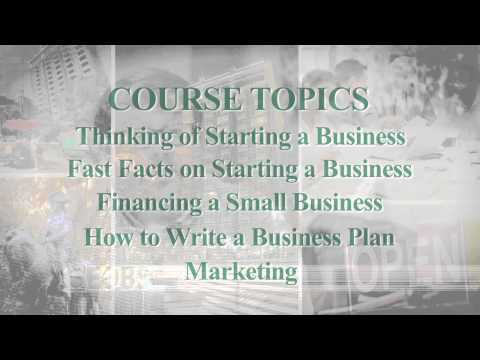 SmallBizU teaches entrepreneurs about the “3Ms” – Money, Marketing, and Management – through 20 core seminars that teach the “language of business.” Each seminar is delivered via the Internet and is typically completed in two to four hours. For more information on a seminar, or to register, click on the Register Now button below. Once you register for a seminar, you will have immediate access to the seminar content and resources. You can access your seminar anytime and anywhere you have an Internet connection. If you have any questions, please contact the Small Business Center at sbc@gtcc.edu or 336.334.4822 extension 62001. 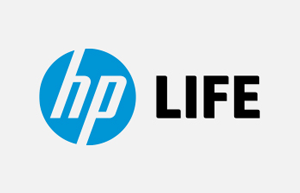 Available free of charge through the GTCC SBC, the HP Learning Initiative for Entrepreneurs (HP LIFE) is a global, online program that offers aspiring entrepreneurs and small business-owners a chance to further develop much-needed business skills. This program is self-paced (do it on your own time), interactive, and full of key strategies and practical exercises. This self-paced online course summarizes IRS resources for small business owners via the web tax publications, videos and social media. It also provides specific resource information for recordkeeping and understanding gross business receipts issues. Most of our business workshops and seminars are free, with some advanced topics available for a nominal fee. Click below to register for a free business counseling session with Small Business Center staff.